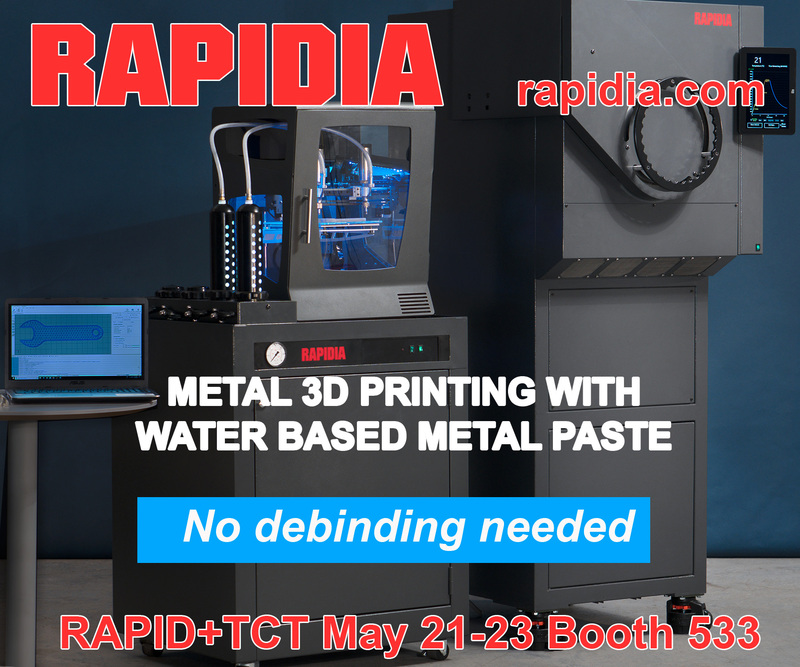 In late October 2014, HP rocked the 3D printing industry by announcing that its long-awaited 3D printer will be at least ten times faster than the competition because it fuses an entire layer at the same time, and will make stronger and more durable parts, at substantially lower cost. Skeptics who said the machine would never make it to market were proven wrong this week, when HP introduced not one, but two Multi Jet Fusion machines at RAPID. According to HP, 3D printing 1000 gears with its proprietary Multi Jet Fusion process takes only three hours, compared to 83 hours with Material Extrusion machines. HP’s machines, which are built on its Thermal Inkjet 2D printer technology, do not fit squarely into any of the seven categories of 3D printing processes recognized by the International ASTM. HP seems to combine as many as four types of 3D printing processes: Binder Jetting, Material Jetting, Powder Bed Fusion, and possibly (but probably not) Directed Energy Deposition (DED). But Multi Jet Fusion also does something more. According to HP’s white paper, one x-moving carriage of the machine jets materials to form a bed, after which a second, y-moving carriage with an array of thousands of tiny nozzles jets “chemical agents” onto the layer – at a rate of 30 million drops per second — followed by a shot of energy from the first carriage that fuses the layer while more material is deposited. Although HP says “[t]he layering and energy processes are combined in a continuous pass of the second carriage,” the energy does not seem to fuse the layer until after the chemical agents are jetted by the other carriage, so this process probably does not involve DED. 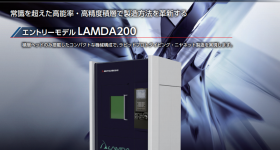 However, because the system is modular and the order of these steps can be varied for particular applications, it is possible that the machine could do DED too. The proprietary chemical agents are more than the binders of Binder Jet machines. In fact, they don’t seem to be binders at all. Instead, they are for fusing (which seems to be different from binding), detailing, coloring, and transforming the build material on the voxel level. As HP says, its machines have the “discretion of drops,” 30 million of them per second. Unfused material in the bed serves as support. 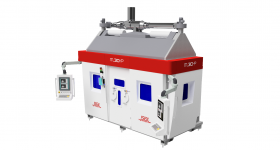 Although parts do not appear to need post-build heat treatment or infiltration to increase part density, HP has built a post-processing station into its machines. HP says its machines will be modular and scalable, and will deliver fully functional, final parts with sharp edges, smooth surfaces, and accuracy, detail, color (eventually), and material characteristics not seen before in 3D printing, including texture, strength, translucency, elasticity, and electrical and thermal properties that are continuously variable through the part. 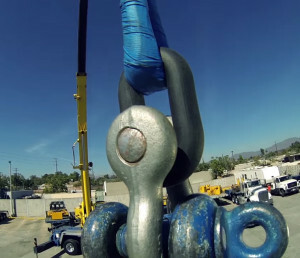 As part of HP’s 2014 announcement, it showed the strength of parts built with its machine by using a chain link, built of thermoplastic with Multi Jet Fusion, to lift the weight of a car. Although its parts clearly are strong, HP’s Multi Jet Fusion may not be an immediate threat to metal Powder Bed Fusion companies, like Arcam, EOS, and Concept Laser, because the customers who buy their machines need or want metal parts. But HP expects that its machines will eventually make metal parts too. 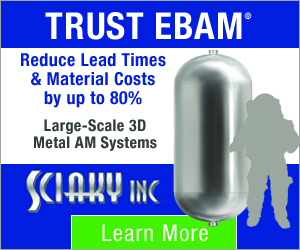 So metal Powder Bed Fusion companies probably have a bit more time to develop innovative processes that maintain their competitive edge. 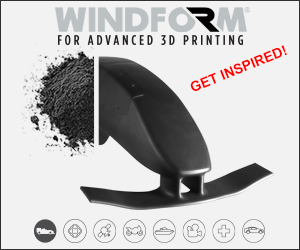 However, some users may start to question whether they really need metal parts if parts made with Multi Jet Fusion are sufficiently strong. Multi Jet Fusion also should not be a near-term threat to DED companies like Optomec for the same reason, and because DED appears to be better suited to certain applications, like parts repair (especially in situ repairs), than Multi Jet Fusion, at least as it stands today. But companies doing Binder Jetting, Material Extrusion, Material Jetting, Powder Bed Fusion of plastics, Vat Photopolymerization, and possibly Sheet Lamination may face a serious and immediate threat from Multi Jet Fusion, to varying degrees. I suggested in 2014 that although HP’s machines will not hit the market until 2016, potential customers know they are coming and could delay purchases until the HP machines are available. 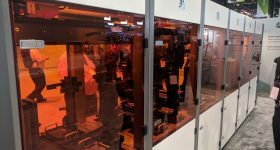 As far as I know, no one has examined whether 3D Systems’ and Stratasys’s tepid 2015 industrial 3D printer sales were in any way due to such waiting and seeing. Although HP’s market entry may help to float the boats of the entire industry, HP clearly intends its 3D printing platform to be an industry standard and wants to own the market. 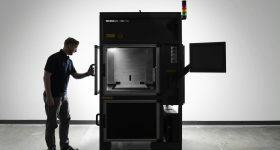 Just this week it announced deals with Siemens, BMW, Johnson & Johnson, and Nike, and Shapeways got one of the first – if not the first – of its machines. 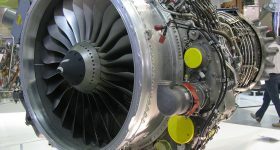 Because Multi Jet Fusion prints quality parts faster and for less money per part, because its machines are within reach of small businesses (starting at $120,000, with “aggressive pricing”), and because HP is fostering an “open collaboration” platform for materials and software, its technology could eclipse existing technologies. Piper Jaffray speculates, as I have, that evaluation of Multi Jet Fusion by prospective customers could affect sales of other manufacturers’ machines, at least over the next couple of quarters. HP’s market entry, along with other heavyweights like Toshiba and Canon, could have several results for the incumbent 3D printer makers: failure, consolidation, acquisition, licensing of HP’s technology (especially if it becomes a standard) or other manufacturers’ technology, innovation, and, unfortunately, patent infringement litigation. 3D printing is a game changing technology. 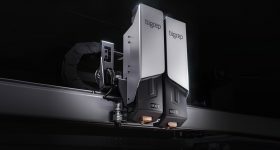 HP’s machine is a game changer among game changers and is likely to force incumbent 3D printer makers to spend big R&D dollars to attempt to meet or beat HP’s proprietary technology. As I explain in my new book, 3D Printing Will Rock the World, HP’s entry into the industrial 3D printing arena is a good example of how IP rights work. To date, there has not been much litigation over IP rights in the 3D printing space, for several reasons. 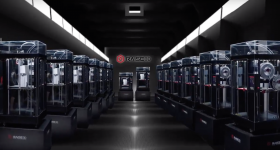 One reason is that although the major players compete for sales of 3D printers in general, the processes used by their machines, and their applications, differ enough that they do not always compete directly. Some players have also licensed other players to use their technology. Perhaps the biggest reason is that the industry is not yet large enough to support the degree of IP litigation common in many big industries. The result has been an industry in which the major players peacefully coexist and rarely sue each other for infringement of patents or other IP rights. 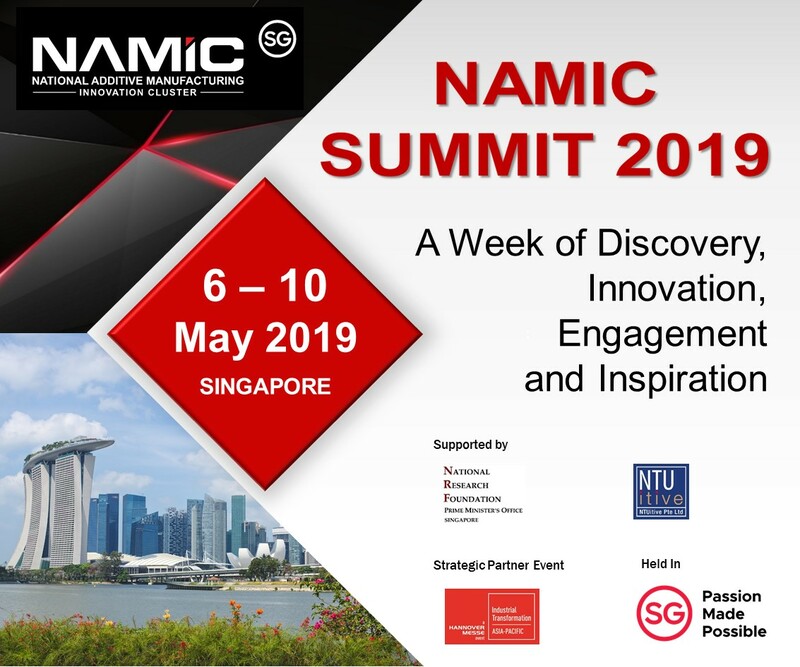 But licensing and lack of litigation can have the effect of luring companies into technological complacency, confining them to the R&D paths where they are most comfortable. 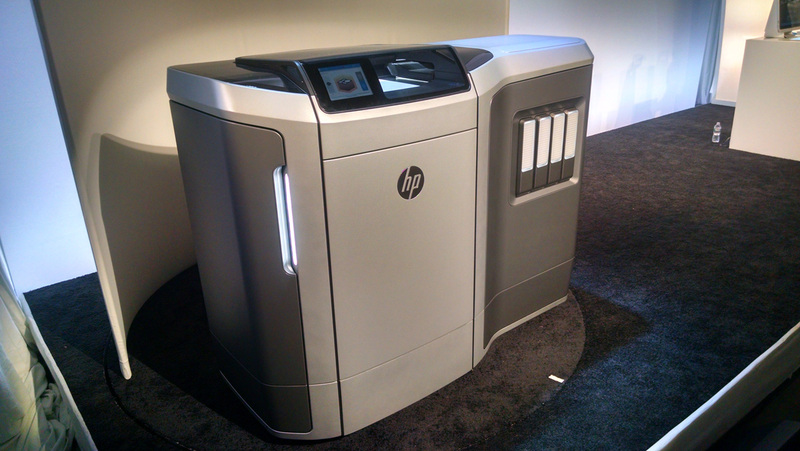 Although HP’s Multi Jet Fusion is very different from the processes used by the other 3D printer makers, it may not be able to coexist peacefully with the other 3D printer makers, or vice versa, because HP’s technology may force the other printer makers to try to develop innovative processes that keep pace with, or exceed, HP’s technology. In other words, the other printer makers may be forced down R&D paths they would never have traveled if HP had stuck to 2D printers. Although the other 3D printer makers will try to avoid infringement by “designing around” — or dodging — HP’s patents, this is easier said than done. HP claims to have 5000 related patents and 100 specific to Multi Jet Fusion. HP probably will sue for patent infringement if it believes that any of the other manufacturers’ attempts to innovate step on its toes. The other companies will probably do the same as they start to encounter each other on those new R&D paths. The result will be that the other 3D printer makers will develop innovative technology, some of which may infringe HP’s rights – or each other’s rights — and some of which may not. Thus, HP’s patents will give it a competitive edge and force the other companies to innovate, and patent litigation will probably result. 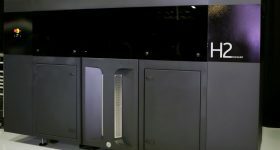 HP’s FAQs say that Multi Jet Fusion “leverages decades of HP experience and intellectual property” in its 2D printing Thermal Inkjet technology. In this case, “intellectual property” means patents, proprietary know-how and trade secrets, and software copyrights. Of main concern to competitors will be HP’s patents because patents can be violated simply by practicing their claims. By contrast, trade secrets can be violated only if competitors come to possess and use them wrongfully and software copyrights can be violated only if competitors obtain access to, and copy, HP’s source code. The fact that HP is partly relying on “decades” of 2D printing IP means that some of the relevant patents may be old or expired, or close to expiring. Because some of the patents may have expired – or may expire soon – the other companies in the 3D printing space will probably start taking a close look at those patents, to see if and when they can start using that technology. But of course HP has certainly filed new patent applications to cover new aspects of Multi Jet Fusion. Most patent applications remain secret for 18 months after they are filed. Because HP has been working on Multi Jet Fusion for some time, some of these applications should be coming to light soon. In any event, no other 3D printer makers will be able to use HP’s new patented technology (or patents that still have some life in them) without licenses, if it will grant them. Some manufacturers may challenge HP’s patents and applications, using various procedures available under the patent laws. In my lectures, articles, and book, I predict eventual 3D printing patent wars that rival the smart phone patent wars. Until now, there has been no spark to set off that powder keg. Multi Jet Fusion could light the fuse. Except for possibly challenging HP’s patents, the wars will not come immediately, but could result from efforts by 3D printing incumbents to avoid HP’s patents while trying to develop technologies that can compete with Multi Jet Fusion. To avoid infringement and to compete with Multi Jet Fusion, the incumbents have several options: (1) use the technology of expired HP patents, but none of HP’s patented technology, (2) design around HP’s patents in ways that do not infringe and obtain their own patents that can be used offensively and defensively, (3) challenge HP’s patents, (4) innovate in directions entirely different from Multi Jet Fusion, but with its benefits, and patent such technology, (5) take licenses under HP’s patents, if it will grant them, (6) acquire or take licenses under other promising 3D printing technologies that could compete with Multi Jet Fusion (as I explain in my book, High Speed Sintering may be one such possibility), or (7) a combination of the above. These options may be easier said than done. HP’s Multi Jet Fusion is well along in its development and, as HP says, it has decades of experience with the technological approach it has adopted. At the moment, the incumbents appear to be at a disadvantage in this regard. Maybe they have been innovating in skunkworks since HP announced its machines in 2014, maybe not. In any event, now that HP’s machines are available for purchase, the incumbents do not have a lot of time to catch up. Meanwhile, HP will continue to develop its technology and to make major efforts to meet its goal of owning the industry. John Hornick has been a partner at the Finnegan IP law firm, which is based in Washington, DC, for over twenty years. 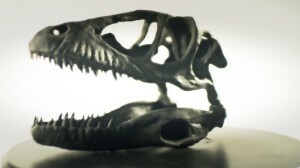 Part of his practice focuses on the IP issues of 3D printing. He is also the author of the award-winning book, 3D Printing Will Rock the World. 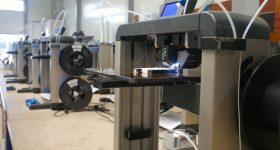 More on this topicHow can open source hardware disrupt manufacturing?